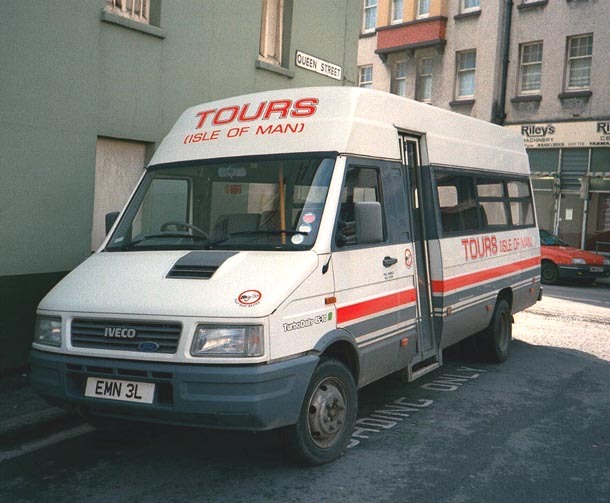 A selection of photographs showing some vehicles in the Tours (Isle of Man) fleet shortly before the operation passed into Protours ownership in late 2003. 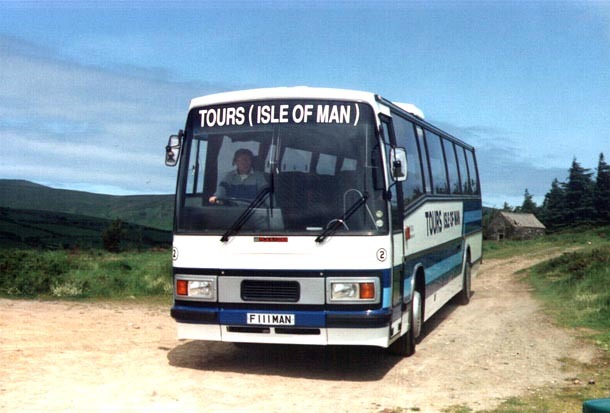 At the start of 2012 Protours sold the operation, the new owners being Island based again, with the fleetname reverting to Tours Isle of Man. 2 (F111 MAN ex-C155 UDD). 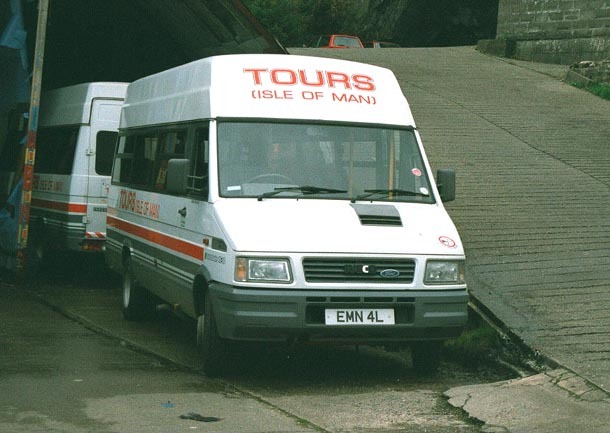 53-seat Bedford YNV Venturer with Plaxton Paramount body seen at Axnfell with the late Gordon Rutter behind the wheel. 4 (MAN 111D ex-WWE 130Y,GIL 2528,JBT 244Y). 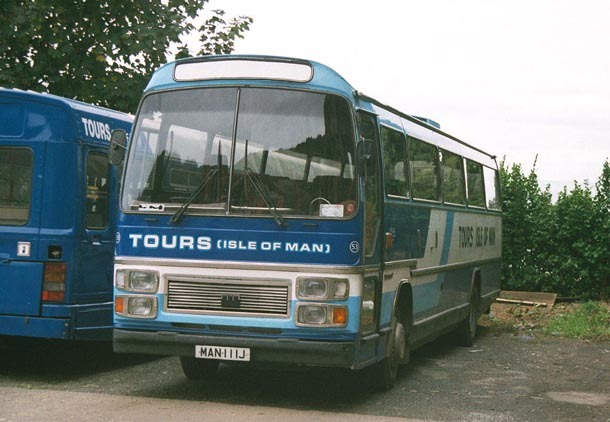 49-seat Bedford YNT with Plaxton Paramount body seen at Summerhill depot, Douglas. 8 (MAN 111L ex-CMN 106, ABC 360Y). 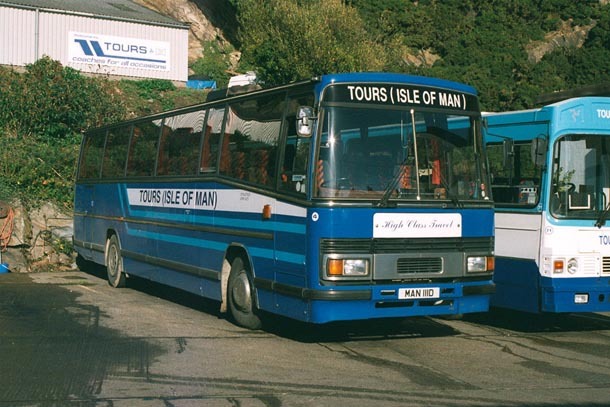 53-seat Bedford YNT with Plaxton Paramount body acquired with the Port Erin Hotels (Coachmann) business. Seen at Summerhill depot, prior to lettering being applied. 18 (O111 MAN ex H451 FPA). 18-seat Ceatano Optimo bodied Toyota seen at Summerhill depot. 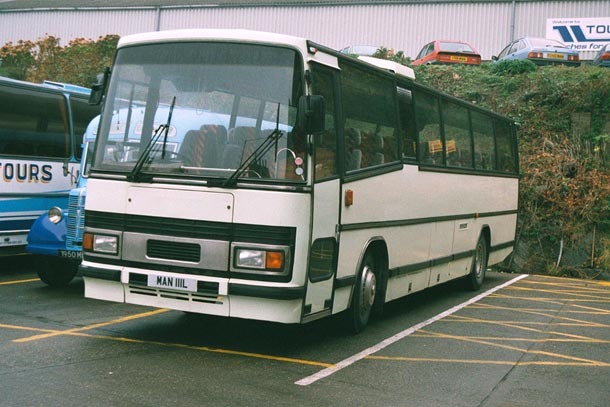 32 (L111 MAN ex-WSV 374,C767 USG). 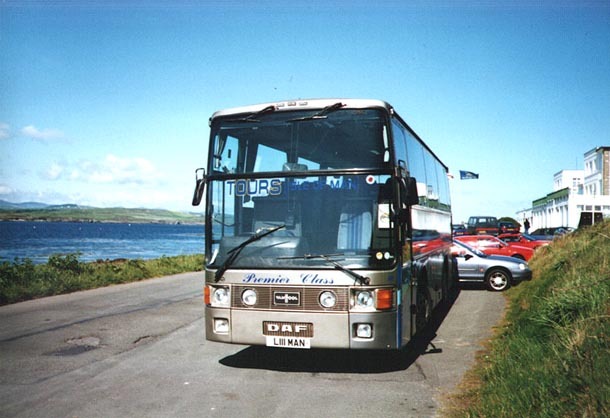 Rare 32-seat Van Hool bodied ACE Puma seen outside the Golf Links Hotel, Langness. 47 (BMN 111 ex-F768 XNH). 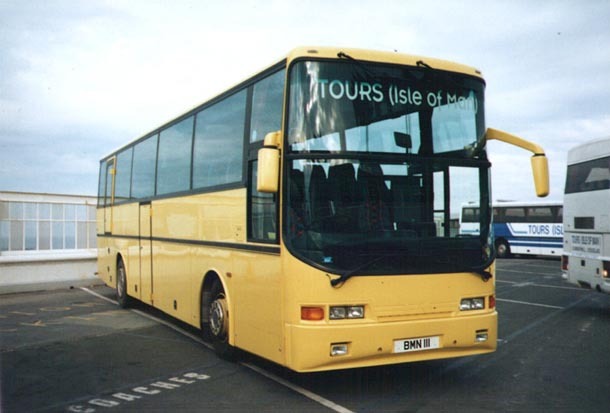 47-seat LAG Panoramic seen in the company of two Duple bodied DAF's at Douglas Sea Terminal shortly after repaint into yellow livery, but prior to lettering addition. 50 (PMN 111 ex-B179 UNW). 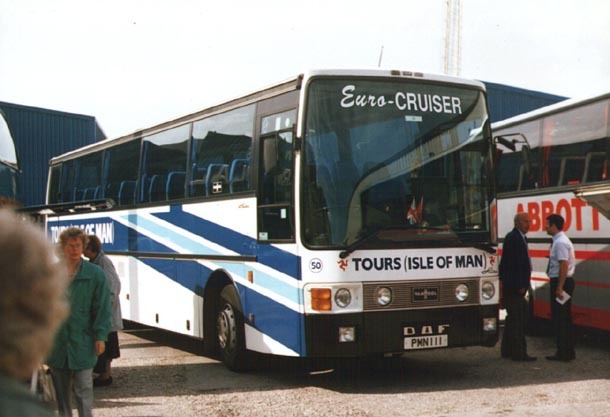 50-seat Van Hool bodied DAF seen at Heysham harbour, with driver Alan Harrison standing to the right. 53 (MAN 111J ex-NWG 989X). Plaxton Supreme V 53-seat bodywork adorns this Bedford YNT seen at Summerhill depot. 3L (EMN 3L ex-N620 ORG). 16-seat Ford Iveco with Leicester Carriage Builders bodywork conversion seen at Quines Corner, Douglas. Rear wheelchair lift is fitted. 4L (EMN 4L ex-N135 YEF). 16-seat Ford Iveco with Leicester Carriage Builders bodywork conversion seen at Summerhill depot. Rear wheelchair lift is fitted.